Primary Job Circular 2018 – Directorate of Primary Education (DPE) has been published on their website dpe gov bd today.This circular also available on my website jobsgroup24.com. Primary Assistant Teacher New Job Circular In 2018 total number of vacancy for this job is See the Circular. So let’s see this government jobs requirement and submit your application in specific time. All district people can apply this post but without three Hill District. ■ Organization Name: Directorate of Primary Education (DPE), Bangladesh. Interested candidates have to apply through online at dpe.teletalk.com.bd. Online Apply start at 01 August 2018 as on 10:30 am and last date 30 August 2018 on 11:59 pm. After complete online application then pay fee by send SMS from Teletalk Prepaid Mobile. Primary Assistant Teacher Admit Card Online Downloadable link are find here. Therefore, Primary Assistant Teacher Admit Card Download from your Computer. Thus, The Directorate of Primary Education (DPE) will be notifying their New Recruitment Admit Card Download Time and Date. 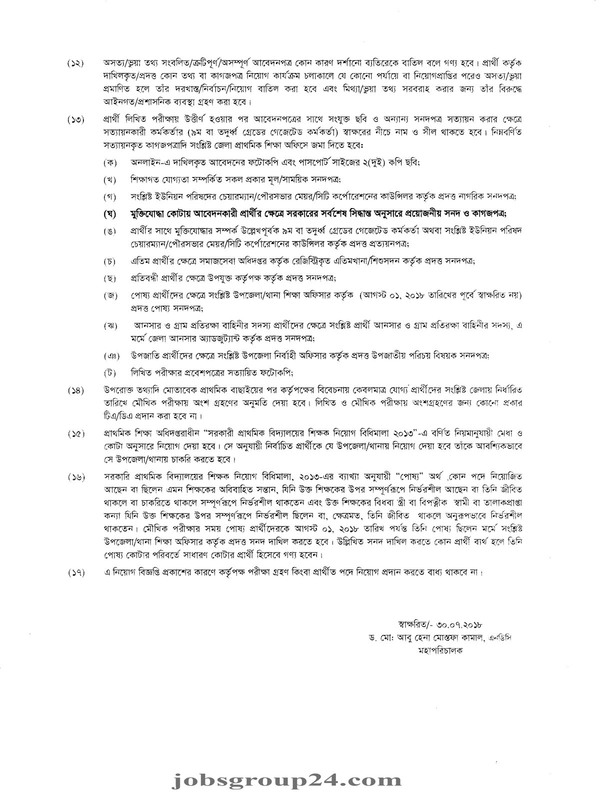 Hence, All Applicants have to wait until DPE announced and given Primary Assistant Teacher Admit Card via their Official website at www.dpe.teletalk.com.bd. All candidates able to collect as well as check Primary assistant teacher Recruitment result 2018. DPE officially has given primary teacher results via dpe.gov.bd. Examines easily find dpe link below to check the primary assistant teacher result via enters their “User ID” and “Pass Word”. Candidates find details information of primary teacher Job result. Primary Job Circular 2018 Exam result published by their official website dpe.gov.bd and you can find out our website. If you want to more Government School and College jobs circular in Bangladesh to follow our website in the regular basis that helps you will get recent teaching jobs in Bangladesh. Our main aim helps the unemployment peoples who are finding qualified job profession. So keep connect with us as well as like our Face-book Page and Join with Face-book Group. 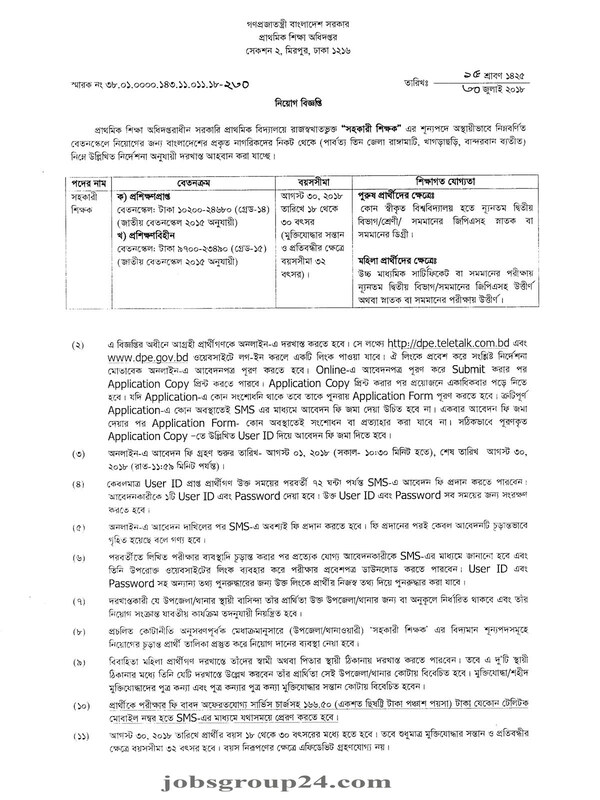 Hopefully you will be more benefited by publishing recent jobs circular advertisement. Thanks stay with us.